This version is the updated and revised 2016 edition, which is also included within Attainment's Core Curriculum Solution: Elementary. Five years of research through the University of North Carolina at Charlotte, proved ELSB to be a highly effective literacy program: Even more effective than a sight-word-only program! ELSB is based upon the principles of systematic and direct instruction. It incorporates scripted lessons, least-prompt strategies, teachable objectives, built-in lesson repetition, and ongoing assessments. 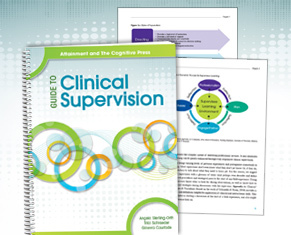 The seven ELSB levels contain five structured lessons each. All students begin at Level 1. If a student struggles here, Level A has been included. Scripted instruction may be done in small groups or one-on-one for two 30-minute daily lessons. Once a level has been completed, formal assessments are provided. ELSB includes everything you need to implement a multiyear literacy curriculum: It provides an aligment to state and national standards, including the common core! ELSB Software or ELSB iPad App may be used in conjunction with the print version or alone as a literacy curriculum. 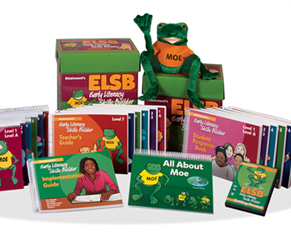 As a supplemental resource, see Early Literacy Communication Package — a GoTalk 4+ and the Early Literacy Communication Overlays book featuring 50 tear out pages of overlays to compliment the ELSB program. Need more information? Have questions or comments about ELSB? Contact our expert at ELSB@attainmentcompany.com. 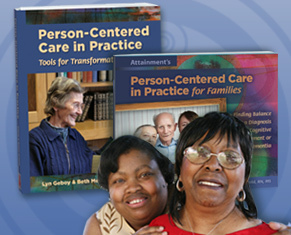 Browder, D. M., Ahlgrim-Delzell, L., Courtade, G., Gibbs, S. L., & Flowers, C. (2008). 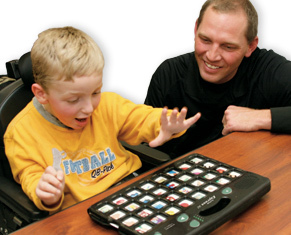 Evaluation of the effectiveness of an early literacy program for students with significant developmental disabilities. Exceptional Children, 75, 33-52. Browder, D. M., Ahlgrim-Delzell, L., Flowers, C., & Baker, J. (2012). An Evaluation of a Multicomponent Early Literacy Program for Students with Severe Developmental Disabilities. Remedial and Special Education, 33 (4). Browder, D. M., Ahlgrim-Delzell, L., Spooner F., Lee, A., & Hicks, C. (2011). Early Literacy Research for Students with Severe Developmental Disabilities University of North Carolina Project RAISE. Verona, Wisconsin: Attainment Company, Inc.